There’s nothing better than a spa day...you’ll start to relax just by thinking about it! Review the packages here, and also be sure to view more Spa information in Life Onboard. 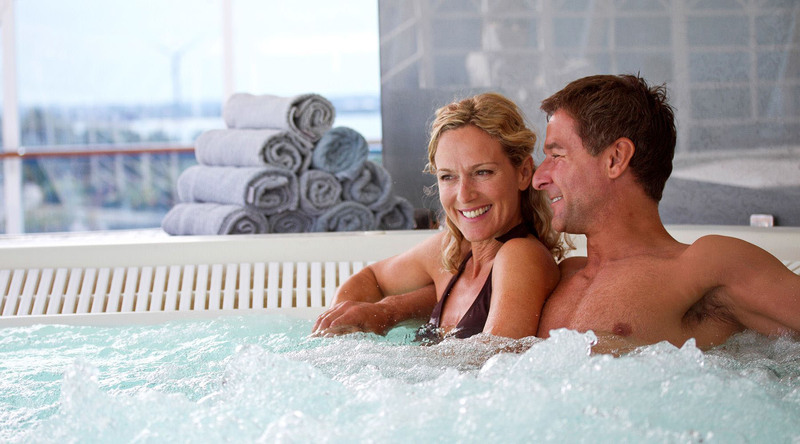 You may purchase spa packages during the first two days of your voyage. 130 minutes, $313. Body Composition Analysis/ Ionithermie Cellulite Reduction Program, Elemis Body Sculpting Cellulite and Colon Therapy. 200 minutes, $378. Elemis Tri-Enzyme Facial/Elemis Exotic Lime & Ginger Salt Glow with half body massage/ Exotic Milk and Honey Manicure/ Exotic Milk and Honey Pedicure. 220 minutes, $495. Elemis Muscle-ease AromaSpa Ocean Wrap with full body massage/ Two Acupuncture Sessions of Choice.